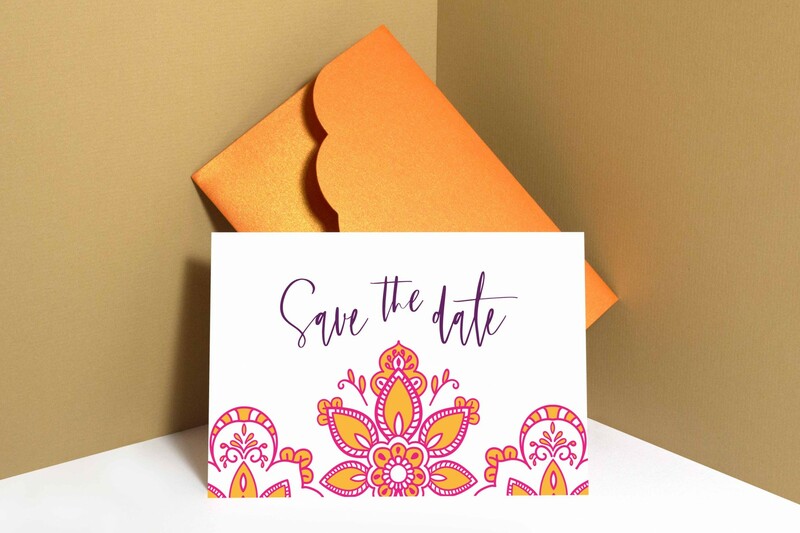 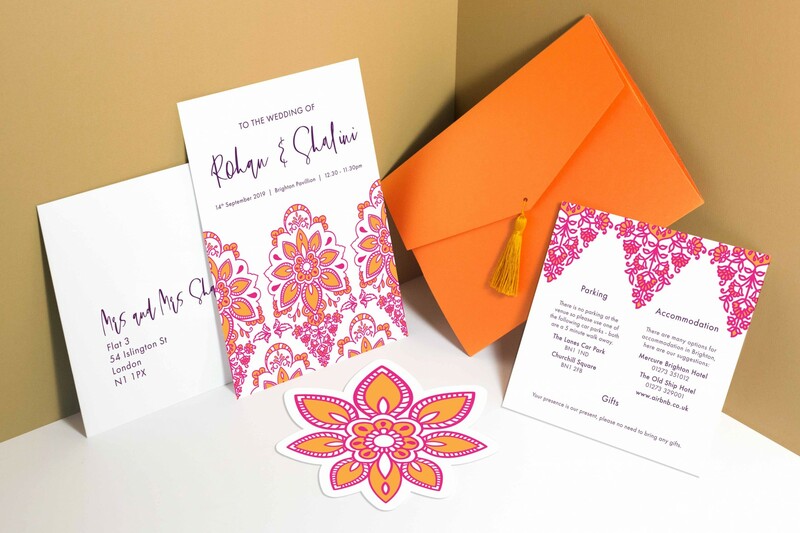 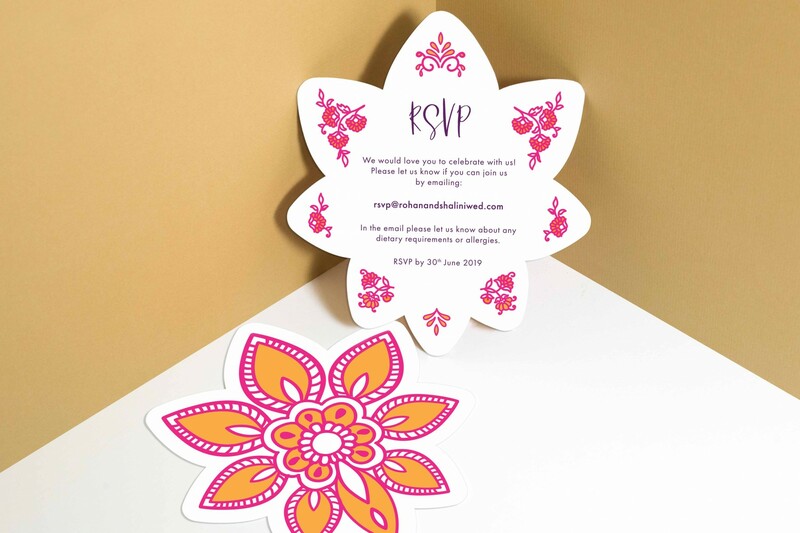 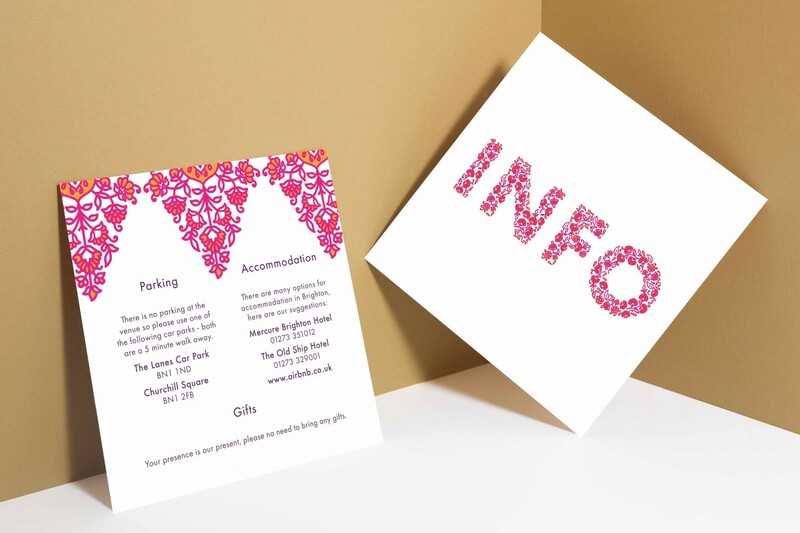 This vibrant pink and orange, Indian inspired wedding invitation features floral elements inspired by traditional Indian textiles such as Paisley and dog-eared patterns and also the shapes used in henna designs. 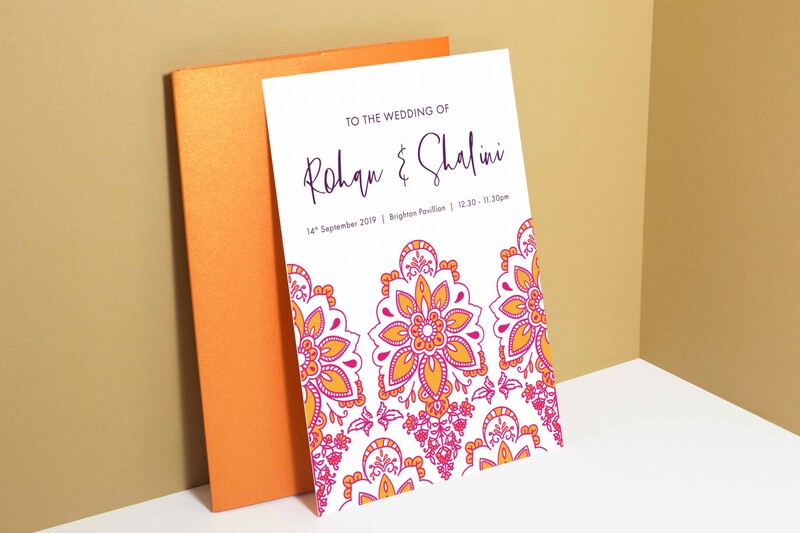 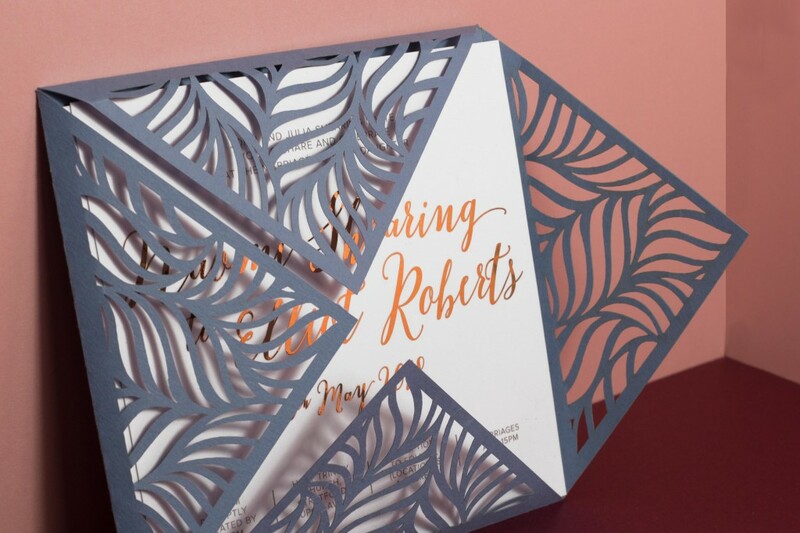 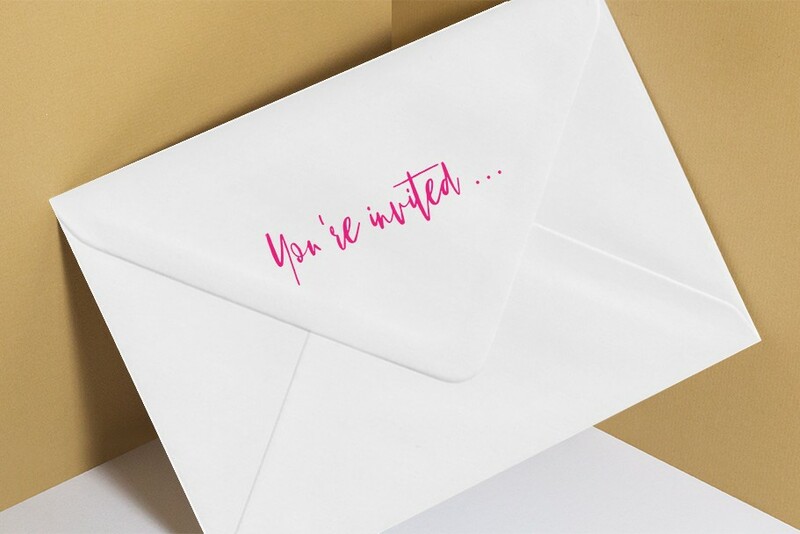 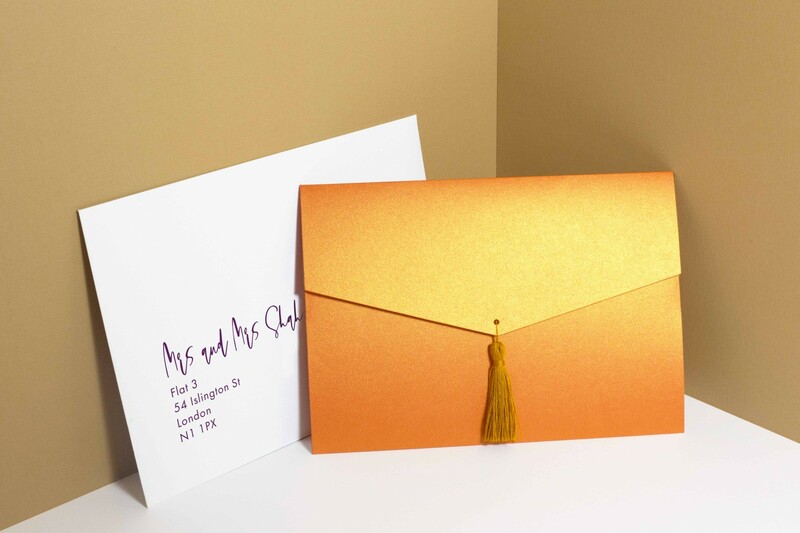 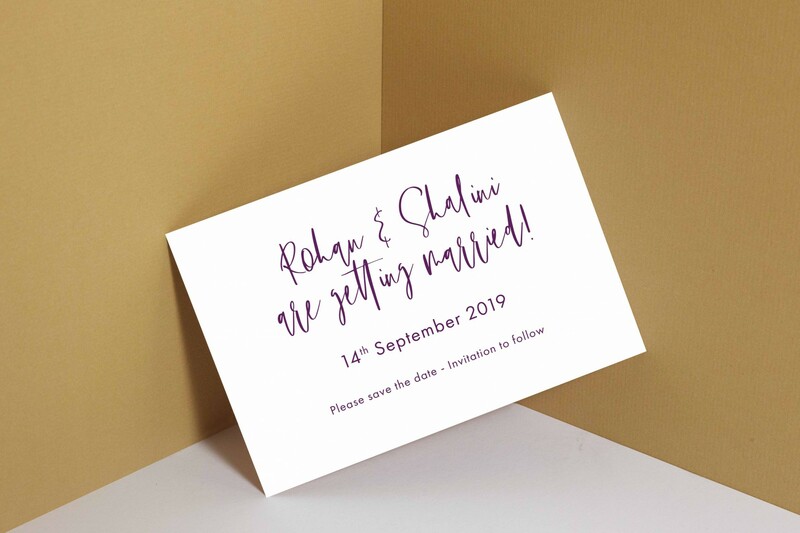 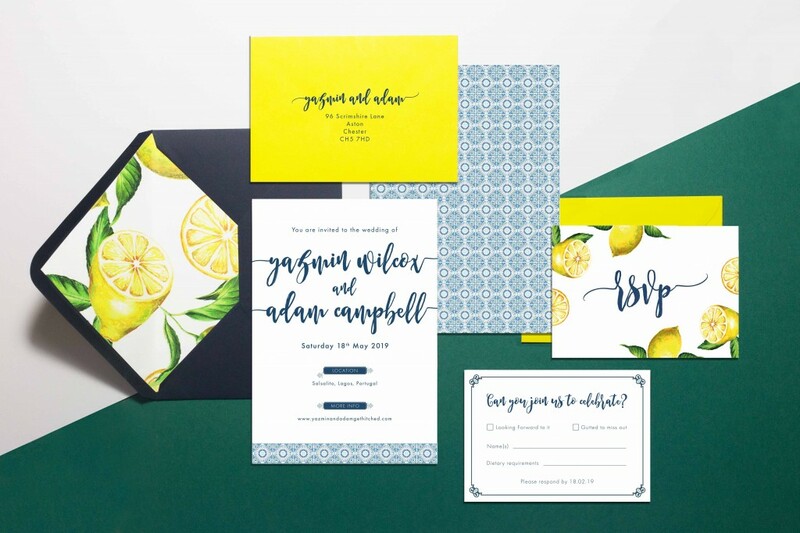 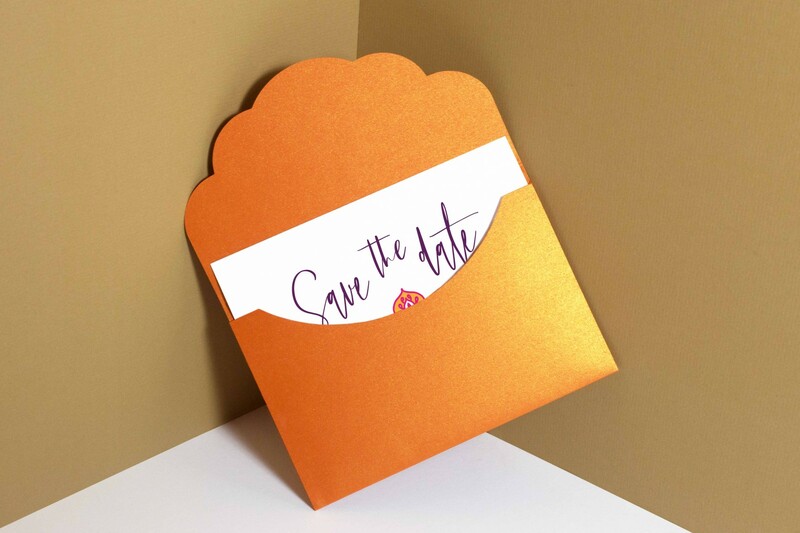 This wedding invitation set would be perfect for any couple looking to have their own modern take on a traditional Hindu wedding ceremony or for anyone looking for wedding stationery with an exotic, bright , floral feel. 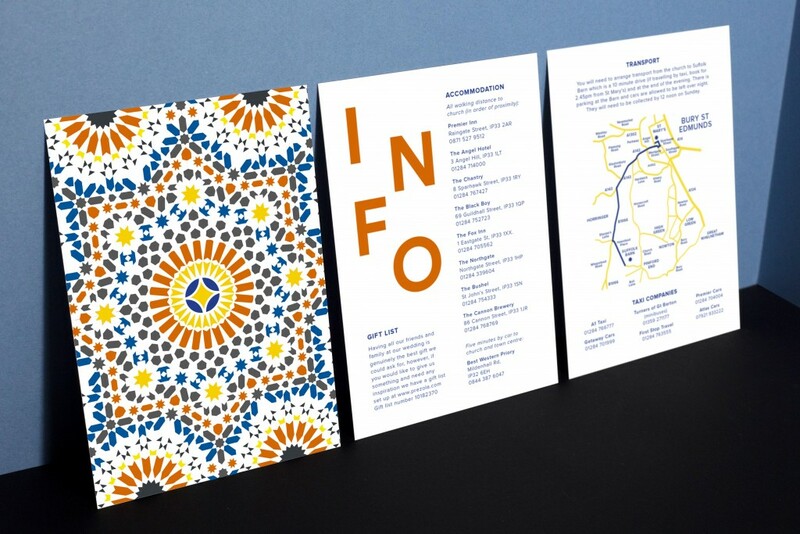 Printed double sided fresco gesso textured 300gsm card stock.